I don’t envy Goodluck Jonathan’s ophthalmologist, whoever he may be, because he or she must have a hard time keeping the president’s vision sharp with every one poking their fingers into his eyes. The quote is from Niccolo Machiavelli who is famous for having written the book, The Prince which many swear was Ibrahim Babaginda’s leadership manual and in speaking of Babangida aka IBB, one is reminded of a joke I have heard so many times, I am no longer sure where I first did. The joke is that at the beginning of Abacha’s madness, he had put a call to Babaginda. Abacha was said to have told Babangida that Turaki (General Shehu Musa Yar’adua) was a problem to his administration. “I think I should arrest him and put him out of circulation,” Abacha is said to have told IBB who replied immediately. Abacha would make that call on several other occasions and IBB’s answers always remained the same. Then one day Abacha called IBB and this time he was not seeking advice. “IBB, I don arrest Turaki,” Abacha said breathless with joy and anticipating IBB’s disapproval but what did IBB say? This as I said earlier is a joke. But, Shehu Musa Yar”adua was locked up at Abakaliki prisons where many say he was poisoned and then died. There was no uproar from the army or civilians. He was buried and that was it. On January 24, 1980, a Borno politician named Shugaba Abdurrahman Darman was abducted from his home in Maiduguri and then driven at high speed across the border to Chad where he was dumped in a desert village. The culprit was the Federal Government of Nigeria led by Shehu Shagari. Shugabawas a founding member of Waziri’s Great Nigeria People’s Party (GNPP) and an elected member of the Borno House of Assembly where he was house majority leader. Considered an opposition politician, the NPN issued a deportation order that saw him being Shugaba’d out of Nigeria. What these examples seek to point out is that the part is never bigger than the whole. Where the interest of the whole is at stake, the part must be ready to be sacrificed in order to save the whole. In 1983, the duo of Muhammadu Buhari and Tunde Idiagbonover threw the Shagari administration and then proceeded to jail many politicians, handing down prison terms that ran to 300 years and in the process introduced a new word into our vocabulary. That word was ‘concurrently’. Buhari and Idiagbon executed three convicted drug dealers and jailed two journalists NdukaIrabor and Tunde Thompson for giving Nigeria a bad name abroad and criticizing their draconian rule respectively. Between 1986 and 1992 when he eventually ‘stepped aside’, Ibrahim’Babagida proscribed newspapers, executed MamanVatsa, his friend, best man and fellow cabinet member. But most of all, he arrested a serving minister and had him sacked because according to the official line Tam David West accepted the gift of a wrist watch. When Obasanjo became president, he levelled Odi and Zaki Biam. He jailed Bode George, a friend and PDP chieftain and many say, had a hand in the arrest, detention and impeachment of the governor of Bayelsa State governor, Diepreye Alamieyeseigha. In the UK, David Cameron sacked Andy Coulson, his Director of Communications and one of his top aides after the News of the World phone hacking scandal broke. Coulson had been editor of the magazine at some point prior to working for Cameron. In the US, General Stanley McChrystal who was in charge at Afghanistan granted an interview to the Rolling Stone magazine and in that interview McChrystal who was a military hero and four star general slagged off Obama whom he described as ‘clueless’ and called Joe Biden ‘Joe Bite Me.’ Obama fired him less than two weeks after and the general departed with his tail between his legs. The point this article has tried to make is that in every political epoch, there must be a cleansing but unfortunately, Jonathan has failed to realize the importance of action, of change, of a symbolic shedding blood as it were. Blood has always been a potent agency. From antiquity to contemporaneity, when principalities and people find themselves at dire intersections the need for a ritual sacrifice of cleansing has always been an imperative. Some of the most well-known instances would be the Jew, Jesus Christ; Moremi Ajasaro who sacrificed her son Olurogbo to Esimiri to save the Ife people; King Agamemnon who sacrificed his daughter, Iphigenia, so he could triumph in the Trojan war. Nobel laureate, Wole Soyinka also tackles the sacrificial element of ‘The Carrier’, who is often chosen by the people as a sacrificial totem to bring relief to the polity in his play ‘The Strong Breed’ in the character of Eman who becomes a sacrificial scapegoat in order to save the community. This is a concept that Goodluck Jonathan seems incapable of grasping. One, he is president and as president he is our chief priest. The well-being of our nation state rests on him and where that well-being is threatened he must invoke the powers of his office to help his people overcome whatever plague stares them in the face. This is what he is failing so spectacularly at and the reason is slowly emerging. 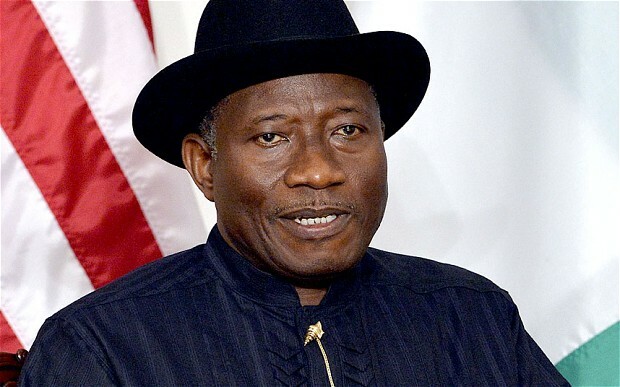 President Goodluck Jonathan doesn’t seem to realise what he is and what he has become. He is president of Nigeria and commander-in-chief of our armed forces. He is occupying the office of a man that should not suffer fools gladly. No one should poke his finger in his eyes. Jonathan must learn, and right away, that as President he must begin to act presidential. He must be decisive and assertive and he must excise the part, no matter how important for the overall good of the polity. What would happen for instance if Jonathan were to clamp Buhari in jail for making inciting comments? Nothing and history bears me out. Abacha did not just arrest Yar’adua, he also locked up Obasanjo who was a former president and his commander-in-chief. Did the heavens fall? No. The Tafawa’Belewa government did not just lock Obafemi Awolowo up, they charged him with treason and sent him to jail in Calabar. Sure, the Western Region was engulfed in crisis but it was more about Akintola and Awolowo than a reaction to the federal government even though the FG was clearly in bed with Akintola. His prevarications, flip-flopping and diffidence in the face of mounting aggression, challenge, and malfeasance amongst his own is making those who say he is clueless seem right. To be clear, I am not advocating that Jonathan lock up every voice of opposition but he needs to understand that for his office to be respected and accorded the dignity he deserves he must insist on it and if it means stepping on so-called powerful toes, so be it. But before insisting Jonathan must begin the cleansing from within. Why is Stella Oduah who has become a serial embarrassment still in his cabinet? Many are saying her retention is thank you for being instrumental to Jonathan’s campaign. Well, she has been minister for almost 3 years. The loyalty has been rewarded but she has clearly become a gangrenous limb that must be amputated. And there are many of such limbs but Mr President must start from within because dog eared as the cliché might be, charity must always begin at home. Toni Kan is an award winning journalist and author. He is also an entrepreneur. He chairs the Editorial Board at The Trent.